Kareena was hungry so she went to the kitchen. Mahesh took the files with him. Ram’s car was parked close to mine. Subjective pronouns act as subjects in a sentence and take the place of nouns that operate as subjects. Subjects are the doer of an activity in a sentence. 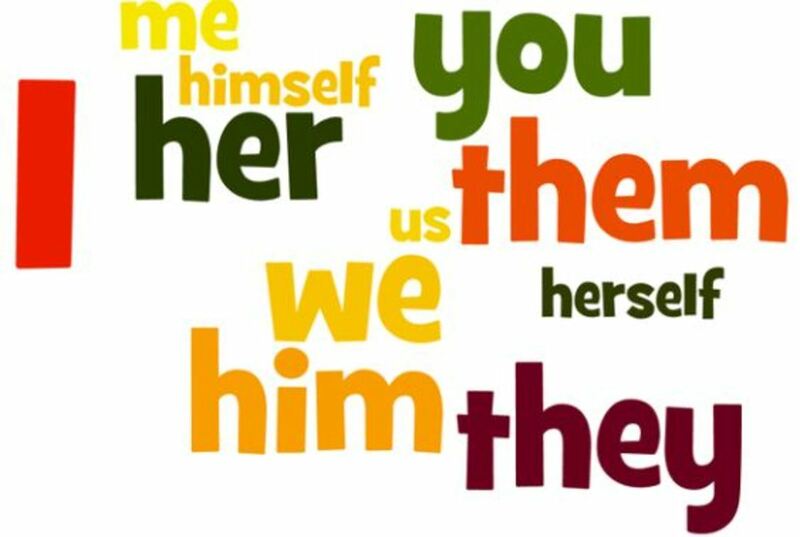 The personal pronouns me, you, us, him, her, it, and them are called objective pronouns because they act as the objects of verbs and prepositions. Objects are the receiver of the activity in a sentence. The personal pronouns yours, mine, his, hers, theirs, and ours are known as possessive pronouns: they refer to something owned by the speaker or by someone or something previously mentioned. Ours is an English language institute. Indefinite pronouns are used when you need to refer to a person or thing that doesn’t need to be specifically identified. Some common indefinite pronouns are one, each, other, none, some, anybody, everybody, no one, somebody, everything, something, nothing, everyone and someone. Everybody was late to work because of the traffic jam. It matters more to some than others. When indefinite pronouns function as subjects of a sentence or clause, they usually take singular verbs. If you can understand the essence of why a certain pronoun is used, you can rest assured; these pesky little words will become the least of your problems. For a better understanding, practical application and expert guidance, visit Pep Talk India today! Revolution is here!